Anthony Evangelista, M.D. is committed to providing the best treatment and medical care to his patients. 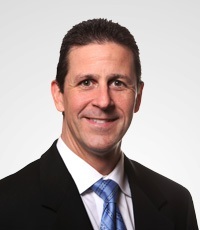 His philosophy of putting patients first is the same philosophy upon which the Kleiman | Evangelista Eye Center was founded. Dr. Evangelista received a Bachelor of Arts degree in Microbiology and Biostatistics from the University of Minnesota and a Medical Degree from the University of Minnesota Medical School. He completed his internship at the Hennepin County Medical Center in Minneapolis and his residency in Ophthalmology at the University of Texas Southwestern Medical Center in Dallas. Refractive surgery utilizing the Visian ICL has been one of the most rewarding surgeries that I perform. 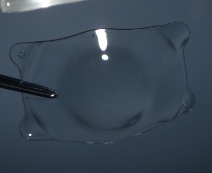 Prior to US FDA approval of the Visian ICL for moderate to severe myopia, surgeons used radial keratotomy (RK) and/or LASIK surgery to correct nearsightedness. There were times when patients who wished to reduce their dependence on glasses or contact lenses were not ideal candidates for these procedures. Typically, these patients were extremely myopic or had corneas that were too thin to undergo LASIK surgery. I became frustrated that I was unable to help these patients, and I searched for newer technology. In 2005, the Visian Implantable Collamer Lens (ICL) was approved by the FDA. I immediately adopted this procedure into my practice and have been able to help many patients who were previously not refractive surgery candidates. Prior to surgery, I perform a thorough eye exam to ensure that a patient is a good candidate for the ICL surgery. After the exam, I take time to answer any questions the patient might have and discuss with them what they might expect for an outcome based on their examination findings and measurements. The surgery itself is rather simple from a patient’s point-of-view. The patient is in the operating room for about 20 to 30 minutes. Patients are under IV sedation and monitored by an anesthesiologist, which is why most patients don’t remember the actual surgery. Afterwards, patients are instructed to go home and take it easy for the day. The results of the Visian ICL surgery have been amazing! Many patients see an immediate improvement in their vision, and it continues to improve as they progress through the healing process, which takes minimal time. Most of my patients are back to work and play the very next day after their surgery. *Like all medical procedures, there are risks associated with the Visian ICL. You should dicuss them with your health care professional and decide whether the Visian ICL is right for you.